This Weeks Inspiration: Perfectly Pastel! Now we have cleared some space, we have room for some new releases! This is MM78XL, our new Poppy Plate. 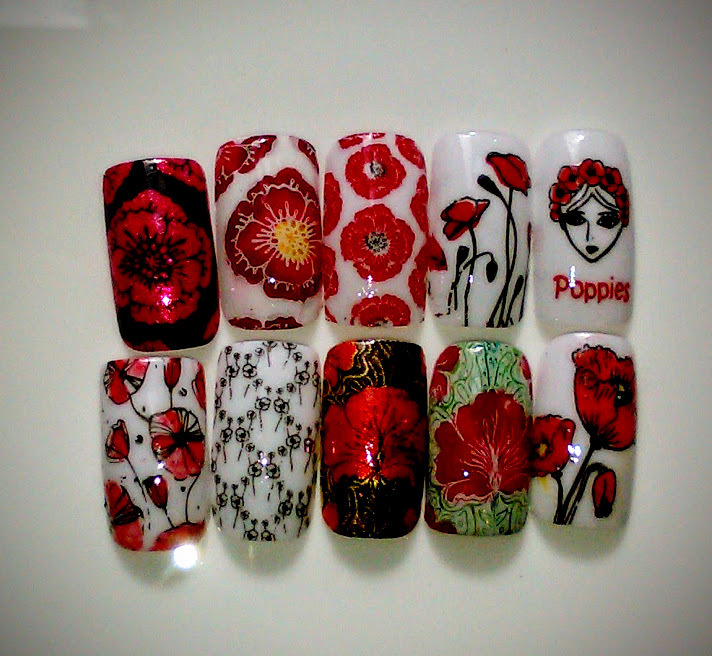 You can get lots of different looks from his plate., and it has been designed for a number of different stamping techniques. We have moved from the large round size for our MM plates to the larger 6cm x 1cm size to accommodate some layering designs that can be used with the Crystal Stampers. Here are some looks we put together using this plate! If you haven't picked up our stamping polishes yet... now is the time! 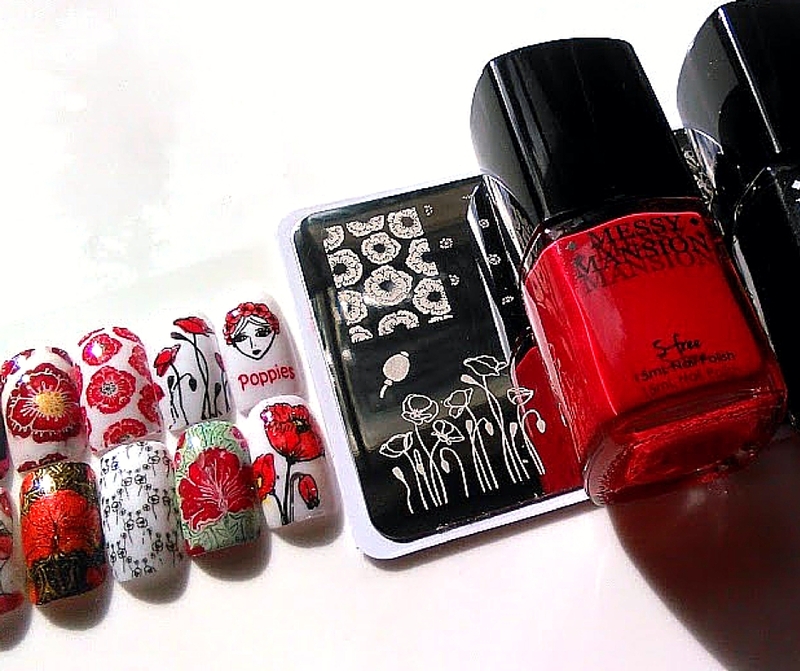 We are offering our new plate with 2 polishes, black and red. These three together usually retail for $28 US, but if you buy the set today, you can snag it for only $22 US!